Oldland Carpets has over 20 years experience in the flooring industry. We have undertaken extensive work in both the domestic and commercial markets. We offer a full flooring service across the South West from our base in Bristol . We can bring a wide range of flooring samples to your home or business. Using our extensive experience we can help you choose the most appropriate flooring option for your needs, at a competitive price. Your satisfaction is our goal. A quality and personal service is assured from the initial enquiry to the final installation. 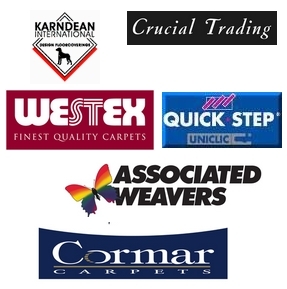 We supply and fit carpets, vinyl and laminate flooring from leading manufacturers such as Cormar, Westex, Crucial Trading, Armstrong and Karndean. But if you have something in mind that is not in our range we will usually be able to get it for you. We have vast experience in installing all types of contract flooring, slip resistant vinyl, carpet tiles, laminate and rubber flooring to a high standard. We have undertaken flooring projects in a range of settings including offices, student flats, doctor's surgeries and nursing homes. © Oldland Carpets - Bristol Carpet fitting, carpet fitting services Oldland Carpets.